The Carolina Panthers have signed New York Giants unrestricted free agent cornerback Ross Cockrell to a 2-year, $6.8 million deal. Cockrell was acquired by trade by the Giants from the Pittsburgh Steelers in early September 2017 for a conditional 7th round draft pick. 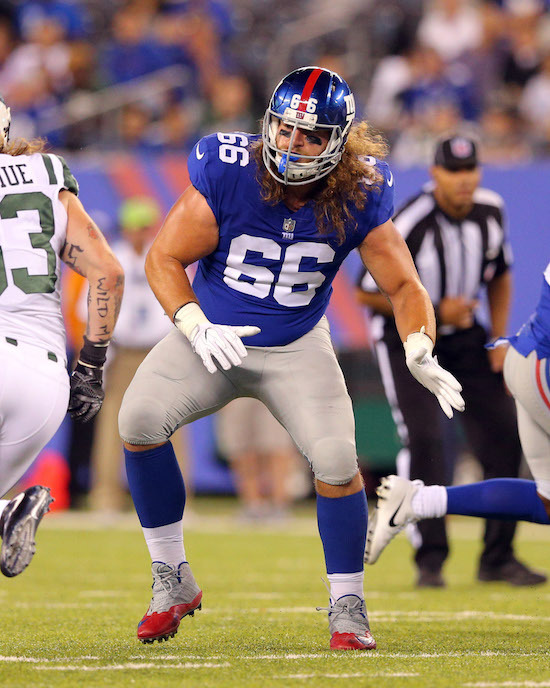 Cockrell, who was an extremely inconsistent player with the Steelers, ended up having his best season with the Giants in 2017. Cockrell played in all 16 games with nine starts. He finished the season with 50 tackles, 11 pass defenses, and three interceptions. Cockrell was originally drafted by the Buffalo Bills in the 4th round of the 2014 NFL Draft. The Bills cut Cockrell in August 2015 and he then signed with the Steelers. In two seasons with the Steelers, Cockrell played in 31 regular-season games with 23 starts. 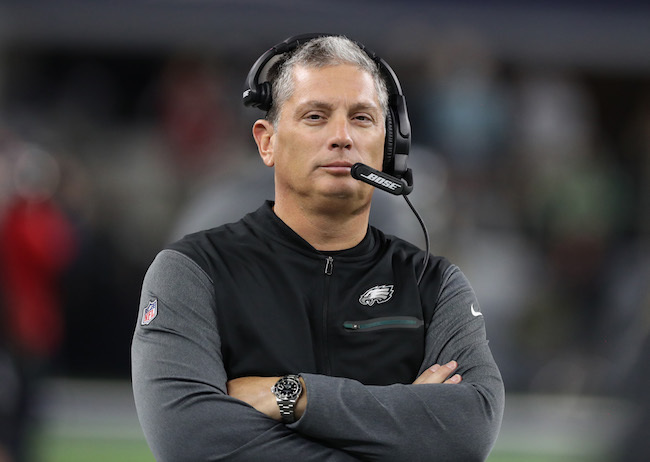 ESPN is reporting that Philadelphia Eagles Defensive Coordinator Jim Schwartz is one of the front runners – and may be the favorite – for the New York Giants’ head coaching vacancy. Schwartz is expected to interview with the Giants next week. Meanwhile, The Daily News is reporting that the Giants top head coaching candidates, in order of preference, are Josh McDaniels (New England Patriots offensive coordinator), Matt Patricia (New England Patriots defensive coordinator), Bill O’Brien (head coach of the Houston Texans), Pat Shurmur (Minnesota Vikings offensive coordinator), and Schwartz. 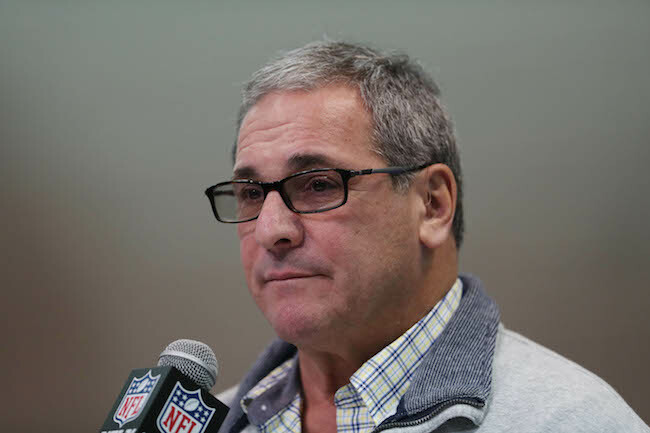 The Daily News is reporting that New York Giants General Manager Dave Gettleman will not immediately replace recently-fired Vice President of Player Evaluation Marc Ross and that Gettleman will run the 2018 NFL Draft for the Giants instead. Ross had run the team’s drafts under recently-fired General Manager Jerry Reese since 2007. The Daily News is also reporting that Gettleman is not currently planning any other changes to the front office structure of the Giants. That would suggest that Assistant General Manager Kevin Abrams, who had served as interim general manager after Reese was fired, will be retained as the team’s salary cap expert. Even though the New York Giants won on Sunday, they will still pick second in the 2018 NFL Draft due to the Indianapolis Colts defeating the Houston Texans 22-13. The Cleveland Browns currently have the first pick. The New York Giants ended their historically-dreadful 2017 season with a rare win, defeating the Washington Redskins 18-10. With the victory, the Giants finished the season 3-13. It was also Steve Spagnuolo’s first victory as interim head coach. With a hodgepodge offensive line of right tackle Adam Bisnowaty, right guard Jon Halapio, center Brett Jones, left guard John Jerry, and left tackle Chad Wheeler, the Giants rushed for 260 yards against the Redskins. Jerry suffered a concussion in the 1st quarter and was replaced early by John Greco. The Giants out-gained the Redskins in first downs (17 to 10), total net yards (381 to 197), and net yards rushing (260 to 61). Neither team passed for over 140 net yards. The Giants also won the critical turnover battle 3-to-1. Most of the game’s excitement came within the first seven minutes. On the second offensive snap of the game, running back Orleans Darkwa broke off a 75-yard touchdown. The extra point was blocked. Then on Washington’s third offensive snap, linebacker Kelvin Sheppard intercepted quarterback Kirk Cousins at the Redskins 31-yard line and returned the ball 12 yards to the 19-yard line. Two plays later, quarterback Eli Manning hit wide receiver Hunter Sharp for a 16-yard score. The two-point conversion attempt failed and the Giants were up 12-0. 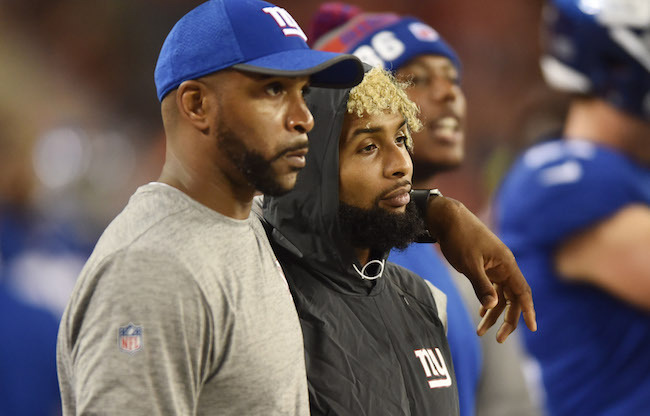 Washington went three-and-out on their second possession, but the Giants gave the ball right back when Manning’s pass intended for running back Wayne Gallman was intercepted and returned to the NYG 20-yard line. Two plays later, Cousins scrambled into the end zone from 12 yards out to cut the score to 12-7 midway through the 1st quarter. Neither team would reach the end zone again. The Giants responded with a 9-play, 70-yard drive that set up a successful 23-yard field goal by place kicker Aldrick Rosas. The Giants now led 15-7. The only points generated in the 2nd quarter came late when Brad Wing’s punt was returned 29 yards to the Giants’ 31-yard line with four seconds to go before halftime. On the half’s final play, Washington kicked a 49-yard field goal to make the score Giants 15 – Redskins 10. Counting the four punts in the 2nd quarter and three in the 3rd quarter, the Giants punted the ball away seven times in a row in the game. The Giants finally extended their lead to 18-10 after a 10-play, 52-yard drive resulted in a 29-yard field goal early in the 4th quarter. Meanwhile, the even more anemic Redskins had their seven second-half possessions result in a missed field goal, four punts, and two interceptions – one by cornerback Ross Cockrell and a second by Sheppard late that salted the game away. Manning finished the game 10-of-28 for 132 yards, 1 touchdown, and 1 interception. His leading receiver was tight end Rhett Ellison, who had five catches for 63 yards. Darkwa rushed for 154 yards and a touchdown on 20 carries. Gallman chipped in with 89 yards on 15 carries. Defensively, Sheppard (two) and Cockrell (one) had all three of the Giants turnovers on interceptions. Cockrell was also credited with four pass defenses. The Giants also had three sacks with defensive end Olivier Vernon (1.5), defensive end Jason Pierre-Paul (0.5), and linebacker Devon Kennard (1.0) all getting to the quarterback. 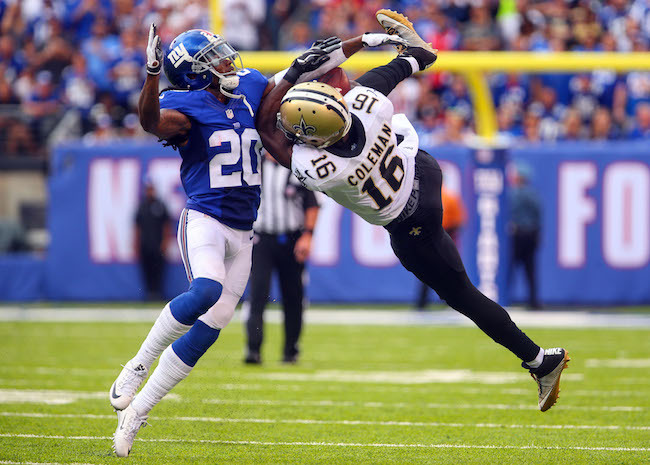 Inactive for the game were wide receiver Sterling Shepard (neck), tight end Evan Engram (rib), offensive tackle Ereck Flowers (groin), defensive end Avery Moss (hip), quarterback Geno Smith, offensive guard Damien Mama, and linebacker Akeem Ayers. Offensive guard John Jerry (concussion) and defensive tackle Jay Bromley (ankle) left the game and did not return. Wide receiver Roger Lewis told reporters after the game that he will be having ankle surgery. The New York Giants’ 13 losses are a franchise record. The three victories are the team’s fewest since 1983. The Giants finished 2-6 in MetLife Stadium, their fewest home victories since they were 1-7 in 2003. The Giants finished 1-5 in NFC East games and 1-11 in games vs. NFC opponents. The Giants scored 246 points, their lowest total since they scored 243 in 2003. Running back Orleans Darkwa’s 75-yard touchdown run was the Giants’ longest run from scrimmage since November 16, 2008, when Ahmad Bradshaw ran for 77 yards vs. Baltimore (but did not score) and Darkwa’s score was the Giants’ longest touchdown run since Bradshaw’s 88-yarder in Buffalo on December 23, 2007. Darkwa averaged 7.7 yards per carry in the game. The last Giants’ back to average at least that many yards on at least 20 carries was Tiki Barber on December 30, 2006. The Giants scored two touchdowns in the first 2:42 of a game for the first time since the 1970 merger. 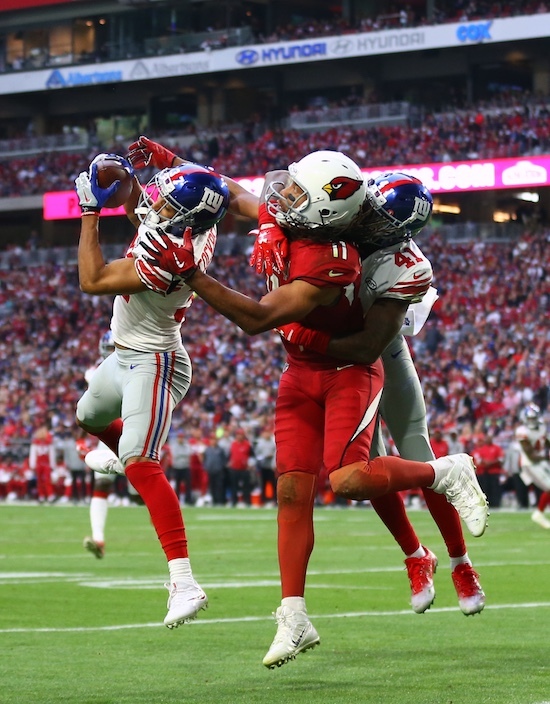 Wide receiver Hunter Sharp is the 50th different receiver to catch a regular-season touchdown pass from quarterback Eli Manning. Manning played in his 216th regular-season game. He shares the franchise record with Pro Football Hall of Famer Michael Strahan. Defensive tackle Dalvin Tomlinson is the first Giants’ rookie defensive lineman to start 16 games since Barry Cofield in 2006. Interim Head Coach Steve Spagnuolo and select players will address the media on Monday. Right tackle Bobby Hart (ankle), linebacker B.J. Goodson (shin), and linebacker J.T. Thomas (groin) have officially been ruled out of Sunday’s game against the Philadelphia Eagles. Cornerback Janoris Jenkins (ankle) is “questionable” for the game. “(Robinson) is able to practice and he is cleared to play,” said McAdoo. There is no media availability to the New York Giants on Saturday. The Giants play the Eagles in Philadelphia on Sunday afternoon. 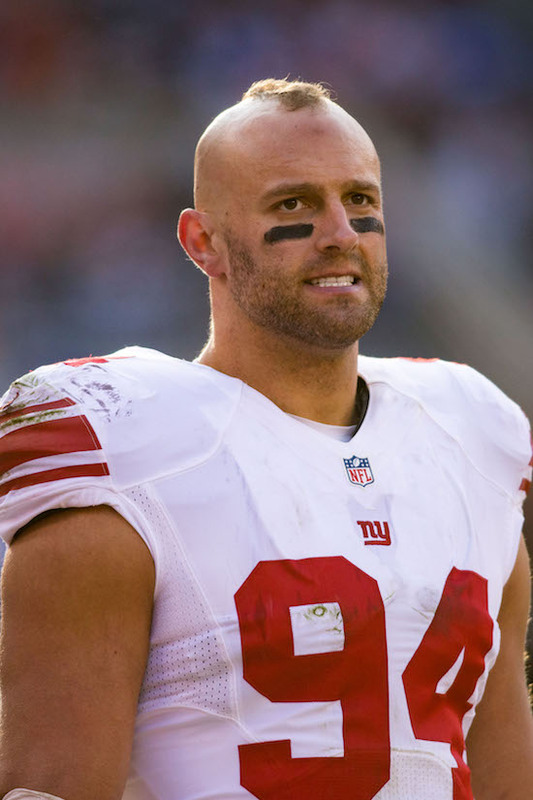 The New York Giants have signed linebacker Nordly “Cap” Capi to the team’s practice squad. The 6’3”, 249-pound Capi was originally signed as undrafted rookie free agent by the Jacksonville Jaguars after the 2015 NFL Draft. Capi has spent time with the Jaguars (2015), Baltimore Ravens (2015), Atlanta Falcons, and Arizona Cardinals (2016-2017). While Capi has not played in an NFL regular-season game, he did stand out with the Cardinals during the 2017 preseason as a pass rusher (15 pressures and 1.5 sacks) and run defender. Wide receiver Odell Beckham, Jr. (ankle) and linebacker Keenan Robinson (concussion) did not practice on Monday. “(Robinson) is still in the protocol,” said McAdoo. Defensive tackle Jay Bromley (knee) and cornerback Eli Apple (ankle) were limited in practice. Wide receiver Tavarres King (ankle) and cornerback Michael Hunter (concussion) returned to practice. There is no media availability to the team on Tuesday. The Giants practice on Wednesday at 11:40AM.